Did not attend too many panels at San Diego this year, except for two back to back on Saturday evening. 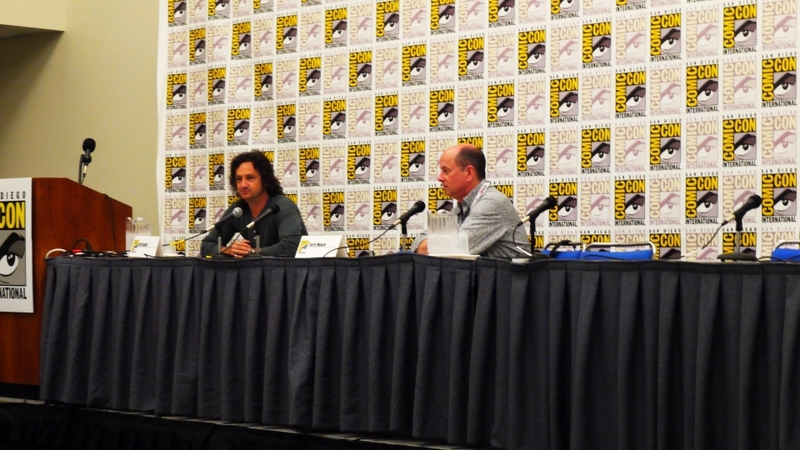 One with Jeff Smith and Terry Moore talking about comics and the indie scene in the 90s. It started slow, when both creators made jokes about not really understanding the point of the panel, but once it got going, there were great anecdotes about jumping into the comics business, how the comics market changed over the last few decades, and great memories of previous conventions. And this is when my camera batterydied. The second panel I attended was a Best of/Worst of Manga 2013, where some of my favorite manga correspondents talked about series they liked and disliked. (It was great to be able to put faces to familiar names, like Shaennon Gaerrity, David Brothers, Brigid Alverson and Chris Butcher, and saying hello to Deb Aoki) Knew (and cheered) most of the series mentioned, and made note of the ones I did not. Funny moments included Attack on Titan and Heart of Thomas appearing in both “Best of” and “Worst of” sections. Deb made a compelling case for why Attack works and does not. Brigid was unafraid to knock on Moto Hagio a bit, even as Shannon vehemently disagreed. Much fun. You can read details here. 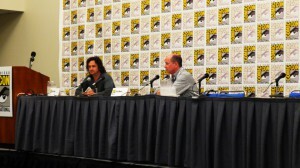 When the panel ended, I asked some of the panelists a question that had been bothering me the last day. Aditya Gadre had asked me on Twitter about what title he should start reading if he wants to get into manga. My standard response to that is to figure out what kind of books and movies the person likes, instead of thrusting whatever is the core “best-of” list. He said he was a Neil Gaiman/Alan Moore fan, which got me really worked up about suggestions. And since San Diego was on, why not go to the Recommendation Mothership? Chris took about 5 seconds to recommend Pluto, which I had thought about but dismissed because I felt it was kind of like giving Watchmen to someone who has not read superheroes. A lot of the charm of Watchmen comes from recognizing how Moore subverts familiar superhero tropes, and similarly, you enjoy the beats in Pluto much more if you have a working knowledge of the original Astro Boy stories on which it was based, and a decent knowledge of the characters in that universe. I stopped reading Pluto myself around volume 2, made sure I reread ‘The Greatest Robot on Earth’, and enjoyed the story much much more. 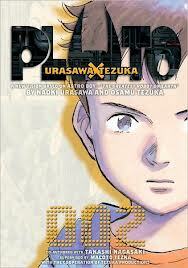 But Naoki Urasawa is a fantastic writer/artist, and Pluto is really one of those series that is a perfect combination of art and story, without any of the manga tropes that pisses off non-manga readers. 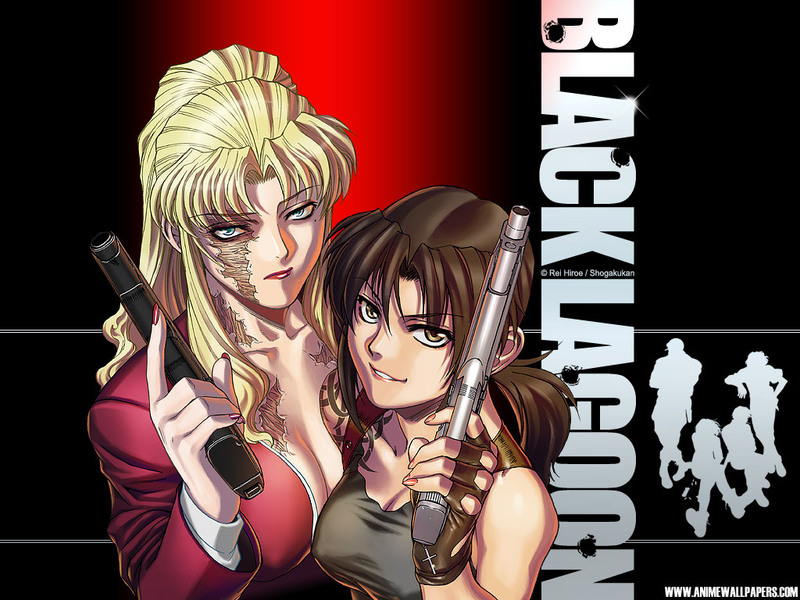 Deb took some time to come up with two choices – Black Lagoon, which I agreed with but was a little skeptical about the bad-girl violence, and Dorohedoro, which I heartily agreed with. Black Lagoon is about a band of mercenaries called the Lagoon company, operating somewhere in South-East Asia. The story begins with them kidnapping a young Japanese salaryman who ends up joining them, and the series is an excellent mixture of no-holds-barred, stylish action mixed with moments of quiet contemplation about the nature of crime, killing and existence. 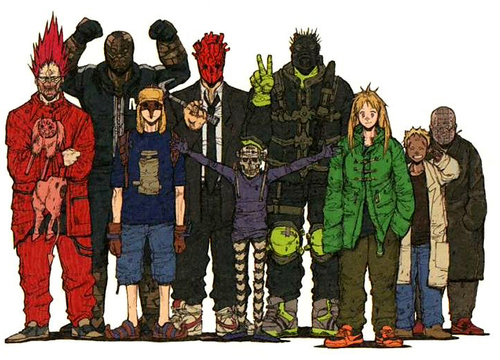 Dorohedoro is a series I read a few months ago, about a man with a reptile head who fights wizards from another dimension, and this has to be the most underwhelming explanation of one of the most fascinating manga I have read in recent times. 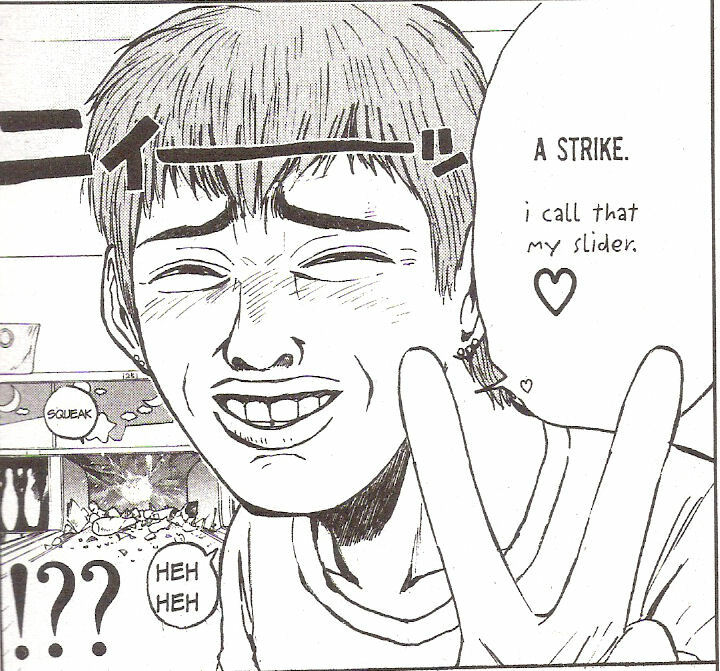 It has laugh-out-loud humor and strange secrets-behind-secrets, even as Q Hayashida, the lady who writes and draws this series, slowly draws back the curtains on both the wizard and human worlds. It is also a series where you would be hard-pressed to take sides. Brigid suggested Kurosagi Corpse Delivery Service (to which Deb and I both agreed). It’s about a bunch of graduates who start their business – of talking to the recently-dead and carrying out their last wishes. Each of them has a special power, like talking to the dead, or embalming, or mad computer skills. Which sounds kind of cliche, I know, but it is very very entertaining and also really creepy at times. I love the cover design for the series. The only problem with all these titles mentioned above (except Pluto) is that they are all ongoing series. Lagoon has been on hiatus for sometime, Dorohedoro is seeing steady publication, while Kurosagi is published once a year. Domu by Katsuhiro Otomo. 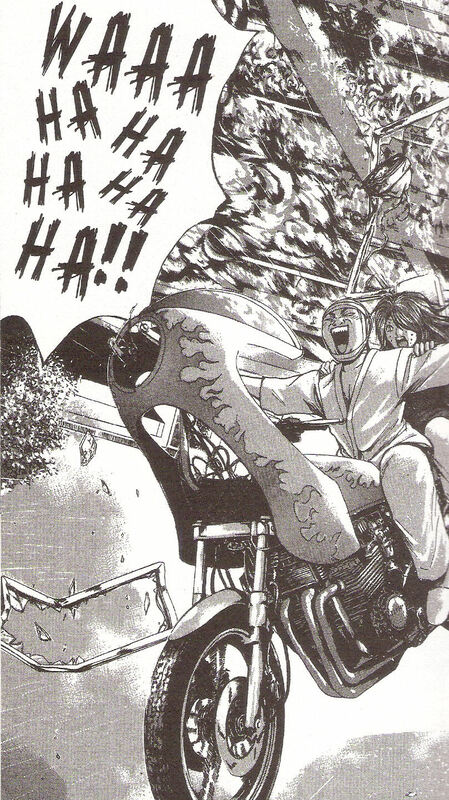 Best-known for the phenomenal Akira, this was the horror-fantasy title that got Otomo noticed. A creepy story about a telekinetic showdown between an old man and a young girl in an apartment complex. 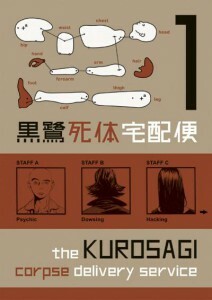 Death Note. 11 volumes. 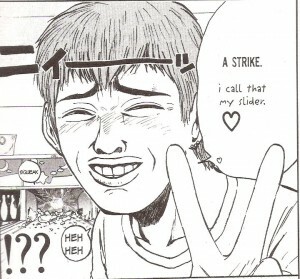 One of the most well-known manga out there, and is delightfully over-the-top sometimes and yet so compelling. 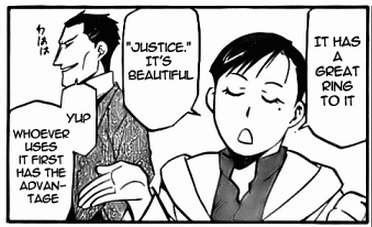 Volume 15 of Fullmetal Alchemist gut-punched me good. Told completely as flashbacks, this volume has gruesome scenes of war and its effect on ordinary human beings, one in which characters established as “good” so far show the extent of blood on their hands from events past. This makes the motivations of a different character – known so far as a mass murderer who nearly killed the Elric kids – appear far more noble than we think, and make us examine the motivations of all the characters introduced so far in a different light. Genocide, political intrigue, and dismemberment – hardly one’s choice of topics for a genre of storytelling marketed at children.It is not strange how Hiromu Arakawa balances the dark themes in Fullmetal Alchemist – there is slapstick humor aplenty. This could be one of the reasons why something that is marketed as an adult comic in the USA cannot compete with shonen manga in terms of the themes explored. With all its doom-and-gloom, there is the inherent fun that comes with reading shonen – chibi faces galore, lots of running gags – about lead protagonist Edward Elric’s short stature and temper, about Alphonse Elric’s armored body used as a receptacle to smuggle girls and cats (!!! 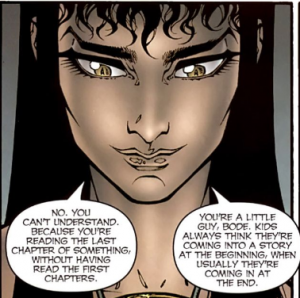 ), about the idiosyncrasies of supporting characters. I am not sure if scanlation consumers got their share of the short gags that appears at the end of every volume, with zany interpretations of the story events and alternate realities involving the characters, but it’s so so hard to not burst out laughing at them. I do not intend to go into spoiler-land or even into brief-description land. The best description of FMA is Jason Thompson’s House of 1000 Manga review (and it made me very happy that he happened to write it when I was reading it). If you don’t want to do that either, read the Wikipedia summary – well, not the full article, which gives away everything. 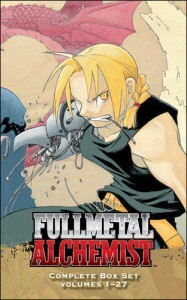 But chances are high that if you are reading this, you already know about Fullmetal Alchemist, at least in anime form. There are two anime series, the first one developed in parallel with the manga and therefore with divergent story-lines from the comic from the midpoint of the series, and with completely different Big Bad Villains. The second anime series Brotherhood is apparently a straight-up adaptation of the manga, and that may be the one I get around to watching (eventually, love, eventually). 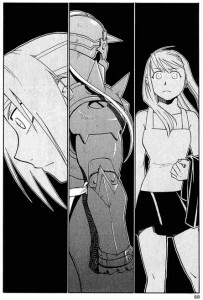 While the story is primarily about the Elric brothers, they transform from the adventures of the two brothers on the road to the methodical unraveling of a plot that involves multiple nations and centuries of planning. At times, the brothers’ concerns become secondary to that of the supporting members of the cast. With a little bit of tinkering, it wouldn’t be surprising if this series was called Flame Alchemist, or May and her Panda, or even Homonculus Prince. (I am a Housewife? ) But yes, this is a shonen manga, and the brothers are the central characters, so it’s not surprising to see them develop as characters, learning the ways of the world from their peers, elders or – the old-fashioned way – the mistakes they make. I am reminded of Joe Hill’s words in Locke and Key, another of my favorite fantasy series involving children caught up in frightening events beyond their control. I have posted this before. It feels utterly refreshing to read a story that gives you so many payoffs in course of a 27-volume run. In most series, the early issues form the setup, the author using them as throwaway episodes to establish characterization and milieu. And that is what I thought about Fullmetal Alchemist too, but it is surprising how much the stories loop back, and how minor characters and actions in previous arcs seem to have effects on the lead characters’ actions towards the end of the series. If you are among those who has read this series already, accept a belated squee and a high-five from me. If you aren’t, you aren’t even reading this. Good-bye. 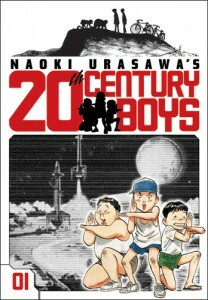 I am just one volume in, and Twentieth Century Boys reminds me of Stephen King’s It. I am a huge fan of Naoki Urasawa and consider him among the greatest contemporary manga creators out there. That’s right – not just a writer or an artist, a creator. He writes and draws, and it’s tough for me to say what he does better. 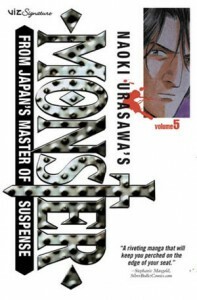 The first Urasawa creation I read was a series called Monster, a psychological thriller set in Western Europe, an 18 volume joyride that I blazed through in one weekend. Early this year, I picked up the full run of Pluto, Urasawa’s homage to one of the most beloved Astro Boy story lines that Osamu Tezuka ever created. In terms of technique, Urasawa is as much removed from the style one comes to expect from a traditional manga artist as Satyajit Ray is removed from, say, Subhash Ghai. 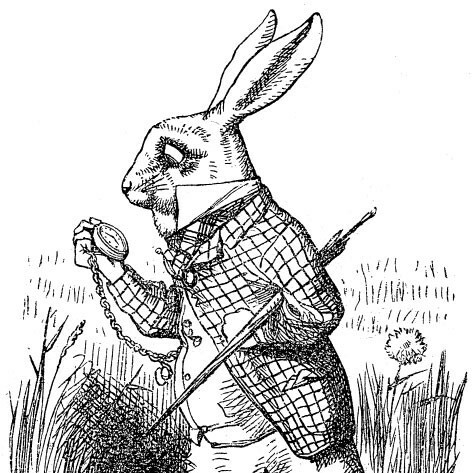 When I see his line-work, I am reminded of European masters – his figures in motion carry a bit of Herge, the inking brings to mind the polished assurance of Moebius; the Japanese influences on his style is reminiscent of Katsuhiro Otomo and Jiro Taniguchi, both of whom, not surprisingly, have been influenced by Moebius. 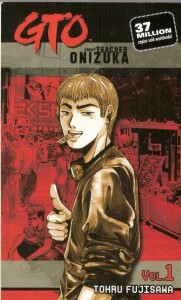 Urasawa’s work therefore becomes a perfect gateway work to people who ‘mistrust’ manga. I use the term ‘mistrust’ because that seems to be the perfect term to describe the reactions that general comicbook fans have whenever manga comes under discussion – Naruto and Bleach seem to be the eye-roll-inducing standards against which all manga is judged, there are references to bug eyes and fetishization of prepubescent females, and of course, the eternal ‘you have to read it the wrong way’. Except for the last, which is something akin to insulting a language just because it does not sound like yours, Urasawa’s work defies conventional classification. No, it’s not art-house, highbrow literature that tries to batter you with it’s own sense of self-importance nor is it commercial franchise-building content. Monster had its moments of storytelling naïveté, but it was a thriller comic done right, told exactly the way its creator wanted to. 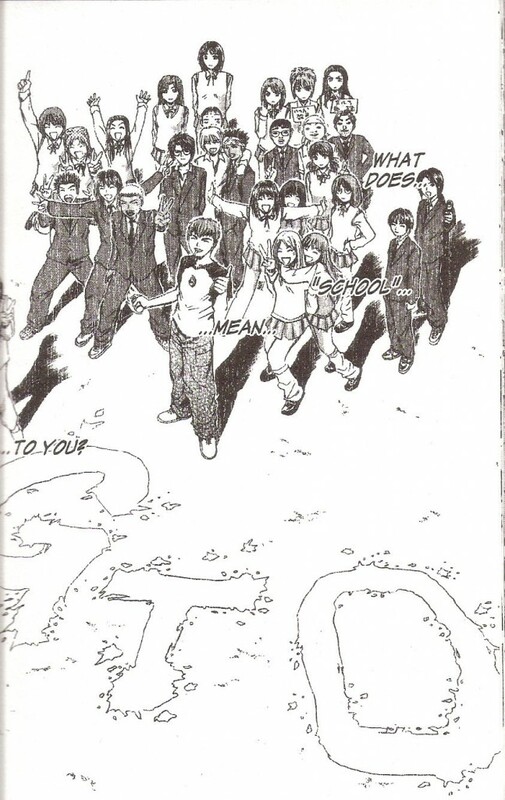 I made the mistake of slotting Pluto, when I first heard of it, as fan- fiction that would only make complete sense if I had the sense of nostalgia attached to the original Tezuka story as its intended audience. I was wrong. 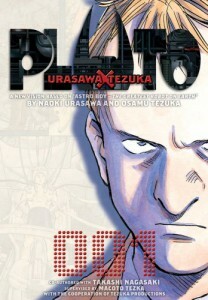 Sure, the second reading of Pluto, after I tracked down Astro Boy vol 3 and read the 149-page ‘greatest robot on earth’ kind of helped me appreciate the choices that Urasawa’s homage made in course of its 8 volumes, the artistic licenses. It actually helped me take in the level of audacity of this fan, this guy who dared to remake something that had resonated in his childhood into something that unmakes nostalgia. I do not want to think of how much he must have internalized the original story to come up with something like this. 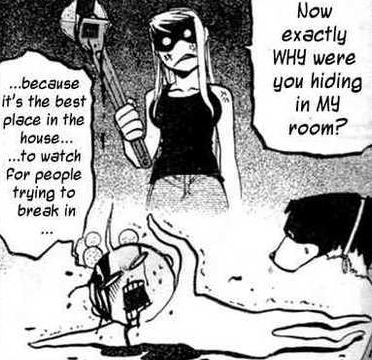 Why did it take me so long to get to 20th Century Boys, then? Because as is expected of output that maintains a high level of quality, there is only so much of it out there. Well, there is early Urasawa, such as Pineapple Express, published in every other language but English, but scanlations are not encouraging. His early work reminds me more of Toriyama, more cartoony than I would expect. I am not aware of what he’s doing right now, but there are only 22 volumes of Urasawa-output available for me to read, and I sure as hell did not want to squander those the weekend after I finished Pluto. But it’s time now, and I’ve just finished the first volume, as the train that takes me back to Los Angeles passes through the Pacific coast. I pause from time to time and stare out of the window, taking in the sunshine that streams through. It’s a lovely day. As Urasawa jumps between 1969 and 1997, and I see childhood dreams and idealism flip to middle-aged resignation and ennui, I realize that I was only 10 years away from being a twentieth century boy myself.